J.D. 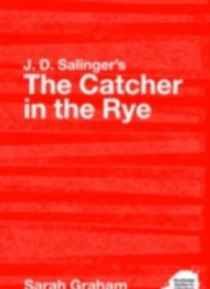 Salinger's The Catcher in the Rye (1951) is a twentieth-century classic. Despite being one of the most frequently banned books in America, generations of readers have identified with the narrator, Holden Caulfield, an angry young man who articulates the confusion, cynicism and vulnerability of adolescence with humour and sincerity. This guide to Salinger's provocative novel offers: … an accessible introduction to the text and contexts of The Catcher in the Rye a�critical history, surveying the many interpretations of the text from publication to the present a selection of new critical essays on the The Catcher in the Rye, by Sally Robinson, Renee R. Curry, Denis Jonnes, Livia Hekanaho and Clive Baldwin, providing a range of perspectives on the novel and extending the coverage of key critical approaches identified in the survey section cross-references between sections of the guide, in order to suggest links between texts, contexts and criticism suggestions for further reading. Part of the Routledge Guides to Literature series, this volume is essential reading for all those beginning detailed study of The Catcher in the Rye and seeking not only a guide to the novel, but a way through the wealth of contextual and critical material that surrounds Salinger's text.